Homer chokes on that pesky uranium rod, Lisa’s head gets bashed in by her saxophone, and Maggie drives herself and Marge off a cliff. Meanwhile Bart, skateboard broken, is left alone at home. He finds a silver lining, however: At least now he has the remote. We do want to note that, since we didn’t see Maggie’s corpse, we’re going to bet she’s alive, crawling somewhere. 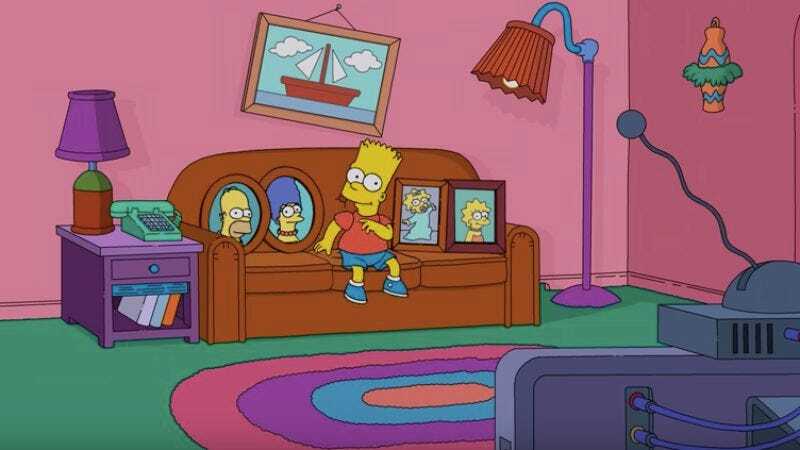 Still, The Simpsons are evidently not here to cheer you up this week.